The Refined Geek » Thief: Subtly Only Gets You So Far. Thief: Subtly Only Gets You So Far. After taking a job from Basso, Garrett’s only friend and contact for all this nefarious and underworldly, you find yourself atop a glorious manor accompanied by your former apprentice Erin. However something doesn’t feel right about this particular job as you witness something strange, an otherworldly ritual that shakes the very world. You’re just about to pull out when Erin, who was watching the ritual from on top of a glass dome, falls. You try to save her but it’s too late and she falls down right into the middle of the ritual, disappearing from sight. Suddenly it’s a year later and you have no recollection of what has happened. 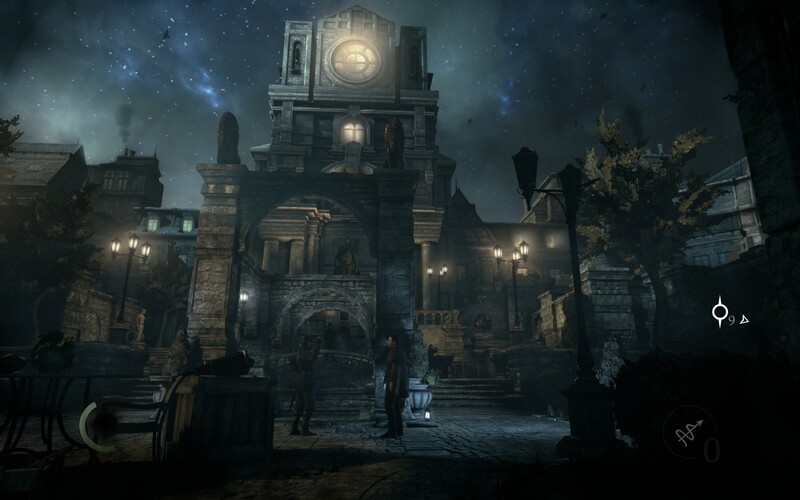 Thief certainly impresses graphically as all the environments pack in an incredible amount of detail, something which is key to the core game play mechanics. There’s atmospheric and lighting effects everywhere which can turn some of the most dull environments into wonderful screenshot bait. Having said all that I feel like it could’ve been better as whilst they’re definitely on the upper end of the scale there are some sections where it’s obvious that sacrifices had to be made for the large number of platforms that were targeted. This did mean that I rarely had any performance issues but I’m usually happy to sacrifice that for a little more eye candy. Unsurprisingly Thief is a stealth game, one where the objective of your current quest can be completed in a variety of different ways. The tools you have at your disposal are wide and varied, ranging from tools that will help keep you concealed to weapons of massive destruction. There’s also two different upgrade systems that allow you to tailor Garrett’s abilities to your play style of choice allowing you to become the master of the shadows or a brutal predator that lurks around every corner. Indeed whilst Thief’s pedigree is in stealthy game play either play style seems viable, even a mix of both if either one of them starts to wear on you. In terms of retaining the trademark feel that all Thief games have this latest instalment does it quite well. Whilst the environments aren’t exactly massive open world sandboxes like Assassin’s Creed there’s enough back alleys, secret pathways and rooms with tantalizingly locked doors to make the maps feel a lot bigger than they actually are. Thief certainly rewards players who take the time to go over everything with a fine tooth comb which I’m sure a lot of players will find rewarding. On the flip side it never feels like this is a necessary part of the game as you’ll find more than enough resources to keep you going if you just meander off the beaten trail once in a while. Whilst this might annoy the purists the inclusion of a custom difficulty mode turns this optional but rewarding task into a necessity, something which should keep them at bay. 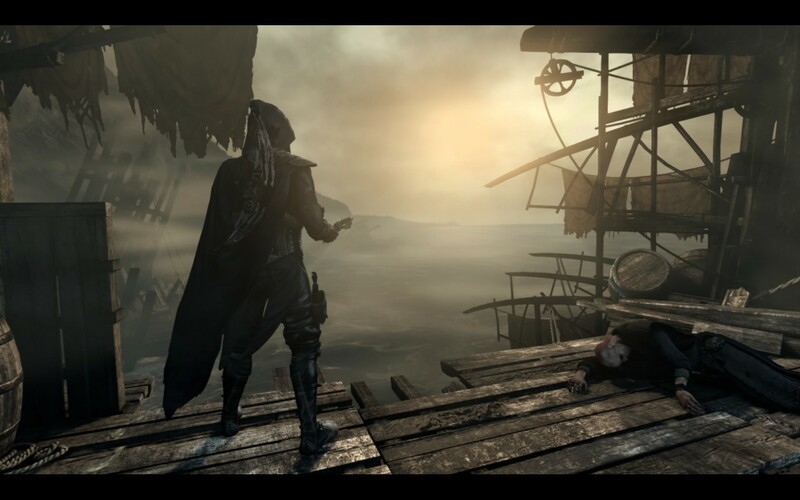 The combat in Thief is understandably lacklustre, mostly because it’s obvious that out and out fighting isn’t the game’s preferred way of completing objectives. This is in stark contrast to other similar stealth games of recent memory (most notably Dishonored) where both paths were somewhat viable. 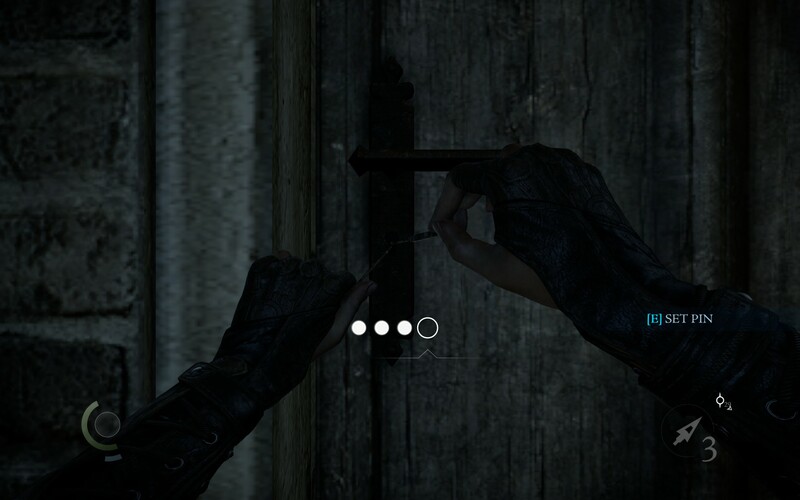 You’ve still got the choice of killing or knocking people out to achieve your objective but should you find yourself discovered there’s really no way to get yourself out of that situation without finding a nearby hidey hole. I don’t necessarily count this against Thief as out and out combat is not what the series, nor the genre itself, is usually about. The option is there but its a blunt instrument in comparison to all the other tools you have at your disposal. The stealth, on the other hand, is quite marvelous. With the highly detailed maps peppered with vents, corridors and passageways it’s guaranteed that every obstacle you encounter has multiple ways to bypass it. Indeed every time I found myself struggling with a particular section it was always because I wasn’t noticing the alternate path that was right before me, opening up options I didn’t know I had previously. There are some situations where trade offs have to be made though which can lead to some frustration but realistically it’s just about making the choice that’s right for your particular playstyle. The game is well executed for the most part with no major bugs or glitches to report however the control scheme does feel a little bit awkward. Using the lean out ability can be a real exercise in frustration, especially if you wanted to pick something up from a chest or box instead of peeking around it. The same can be said for cancelling things, which can be right click or another key, leading to some heat of the moment confusion. Additionally dropping off a rope can’t be done with space if there’s no nearby ledge and instead must be done with X. It just feels like the interface lacks consistency and makes the more routine parts of the game harder than they need to be. This is somewhat excusable in survival horror games but it’s also one of the reasons that I have a tendency to dislike that genre. Thief’s story is decidedly middle of the road sharing some similar threads to those of previous instalments in the series (secret society conspiracies laced with bits of magic) but there’s nothing particularly memorable about it. The initial build up in the opening scenes is far too short for us to have any emotional investment in the main characters and seems to rely on our previous experiences with the series to derive most of its impact. It simply doesn’t work as the vast majority of people playing this game haven’t been involved with the Thief series for the better part of a decade and much of the detail is lost to the ages. I’m a firm believer that a good story can make up for nearly any shortcomings that a game might have but unfortunately for Thief that isn’t the case and it’s lucky that it’s so strong mechanically. 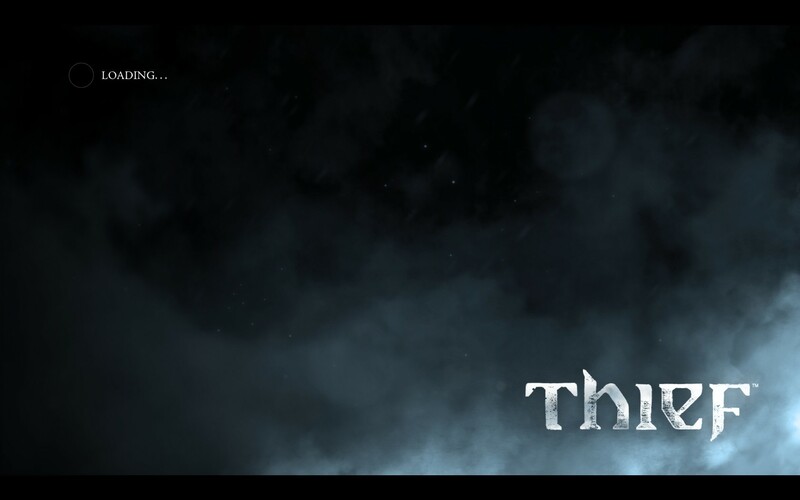 F or a series that hasn’t seen a release in 10 years Thief delivers a solid game play experience, modernizing many mechanics without incurring the usual penalty of simplifying them too greatly for mass adoption. Thief doesn’t rely heavily on its pedigree in order to deliver a good experience, being able to create its own distinct identity through it’s well executed game mechanics. Unfortunately the story is the giant black mark on an otherwise highly polished experience, leaving this and many other reviewers wanting. Still it’s hard for me to recommend against playing Thief as it really is a solid game, just don’t play it for the story. Thief is available right now on PC, Xbox360, XboxOne, PlayStation3 and PlayStation4 right now for $49.99, $79.95, $99.995, $79.95 and $99.95 respectively. 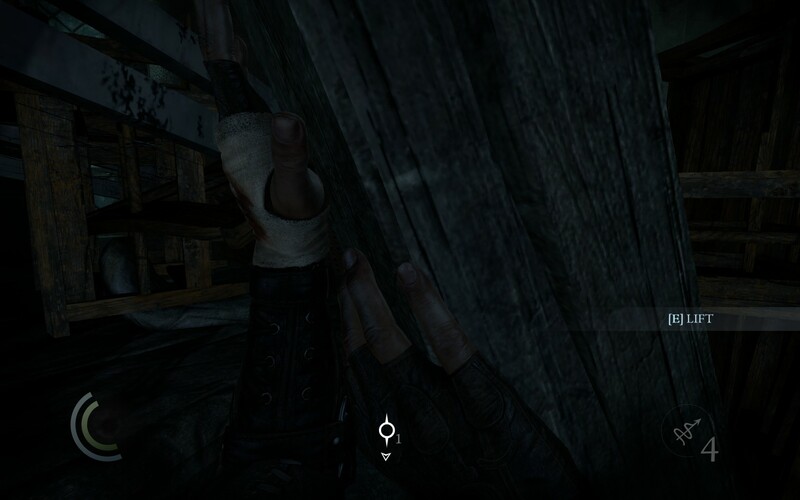 Game was played on the PC on the Thief difficulty with 11 hours of total play time and 35% of the achievements unlocked.